Build robotics on the Intel® Edison Platform. Discover motorized wheelchairs guided by facial gestures and see the Seven Wonders of the Ancient World through virtual reality. These are just some of the projects developers will experience at IDF16 in San Francisco this week. 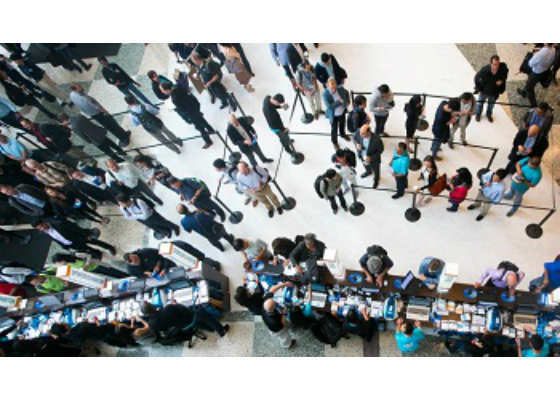 Software innovation takes shape at Moscone Center August 16-18 with IoT projects like intelligent vending machines, smart home products and an intelligent transportation infrastructure. Software developers bring hardware to life in the Maker Space -- which includes demonstrations like wearables that detect athlete stress, IoT enabled toys and code-free IoT miniature battle-bots. In the technology showcase, the Intel pavilion shows end-to-end solutions leveraging Intel hardware and software. The Intel® Software Developer Community hosts a Buzz Workshop for game developers, showing ISV and partner enablement stories and demonstrating Intel developer tools and resources. Path to Product: Transportation A connected transportation rapid path to product edge IoT solution, this proof of concept was created using Intel® IoT Developer Kit, industrial sensors, and Intel® IoT Gateway. This solution monitors the status of a refrigerated trailer containing perishables. Path to Product: Smart Home A smart home rapid path to product edge IoT solution using cloud data analytics, was created with the Intel® IoT Developer Kit, industrial sensors, Intel® IoT Gateway and IBM* Bluemix* cloud services. This solution monitors the status of a home’s front door and garage door for increased security. Path to Product: Intelligent Vending Machine A retail vertical rapid path to product edge IoT solution using cloud data analytics, features a proof of concept that was created using the Intel® IoT Developer Kit, industrial sensors, Intel® IoT Gateway and Microsoft* Azure* cloud services. This solution monitors the inventory, product sales, and maintenance of a vending machine. Intel® Commercial IoT Featuring Smart HVAC Control A temperature-controlled environment, and includes three edge devices that monitor temperature, light and loudness. The sensors provide continuous streaming data to the Intel® IoT Gateway, including indications of failure. Intelligent Infrastructure for Autonomous Cars An intelligent infrastructure for autonomous cars using cloud data analytics, this proof of concept was created with the Intel® IoT Gateway, Intel® IoT Developer Kit, industrial sensors and Microsoft* Azure* cloud services. Autonomous cars can take more intelligent actions to avoid accidents based on other cars on the street and their speed. Camera mounted on poles are used at the intersections and sensors connected to Intel IoT Gateway to collect contextual information. 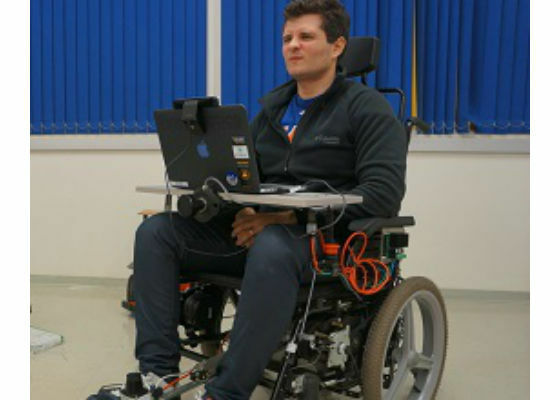 Wheelie: Hands free robotic wheelchair. Helios: HELIOS employs Intel® RealSense™ technology to provide a series of accessibility features for visually impaired individuals. Shape Song Music VR: Create your own instruments to play along with songs in a fully reactive and immersive virtual world. 7VR Wonders of Ancient World: Recreation of the 7 Ancient Wonders into a Virtual Reality tour. Leave the Nest: A virtual flying game. This year the Maker Space consists of two main areas: the Demo Alcove and the Maker Sessions Lab. The Demo Alcove area spotlights a wide range of projects, prototypes and companies with commercial projects. In addition to demos and sessions, contestants from America’s Greatest Makers TV show, winners of the Intel® Ultimate Coder Challenge for IoT and Intel roadshows appear within the Maker Space at IDF16. The Maker Session Lab provides an opportunity to build with the latest Intel® maker products or attend instructor-led sessions. Photo booth Using Visual Programming in Minutes: Create a photo booth using Octoblu* IoT platform and the Intel® Arduino 101. Hackster.Io – Open Source software created the internet, should hardware follow the same path? Let’s face it; transitioning your great innovation into a product is the most difficult part of IoT. At IDF16 Intel® will demonstrate several ongoing "path to product" projects surrounding transportation, smart houses and even autonomous cars! 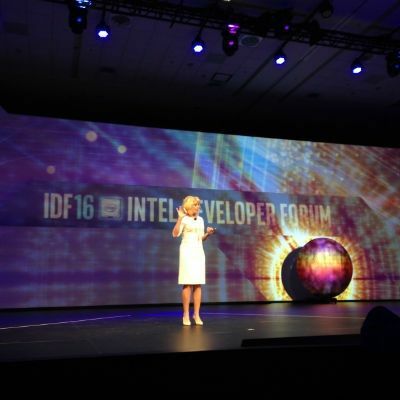 Whether you want to make IoT fly, create the next hit game or automate an industry -- the developer experiences at IDF16 are shaping the future of IoT and other software innovations. Visit the IDF websitefor a conference overview and more information on shaping the future of what you make. What would be the Mobile/communication future after next 10 years?